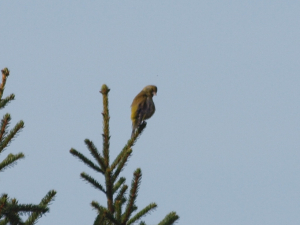 Observation - Possible Greenfinch - UK and Ireland. Description: I'm not totally sure if this identification is correct so if anyone else can help identify that would be great. I'm not totally sure if this identification is correct so if anyone else can help identify that would be great.